When it comes to our fitness routine, more often than not back tends to fall behind other areas of the body. Let’s face it, most people are focused more so on the pressing exercises and the polling exercises which are going to benefit their back. The next time you’re at the gym take a second to look around and notice what most people are doing. Chances are that all the bench presses are taken up, and typically the same as to be said about the chairs we use for shoulder exercises. Many people will go to the gym are doing so just for aesthetic reasons, and shoulders to chest and the arms are the areas of the body that are going to be the most noticeable. The problem with this is that if you continue on with your training inevitably at one point or another you’re going to have serious issues with imbalance in your body which is going to feed the problems in your posture and in your biomechanics down the line and will affect your ability to do progress further in other areas. If you’re back is your weakest link don’t worry as you’re not alone. 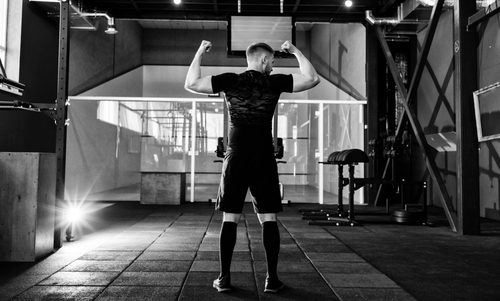 You can improve the strength and health of your back and in turn rest of your skeletal muscle system by doing these three things which can turn around your training. The first thing you need to do if you want your back to catch up with the rest of your body is to start working out more frequently. What you should do is remove a workout from your routine and replace it with an additional back workout. 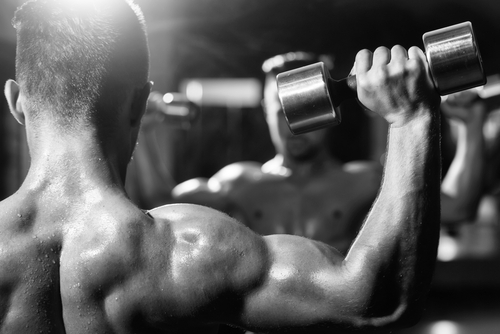 The best course of action here is to switch out a day of arms or another area where people are typically are strong and substitute it with another day of back exercise. What you should do here is have a day where you work the back with heavy exercises such as the dead lift, and power rows which are really going to help you build up volume. Then later on in the week preferably after at least a day or two of rest, you’re going to work the back again but focus more on doing exercises and high frequency, with lesser weight. Exercises like pull ups, scapula pushups, body weight lat pull ups, and planks for example are some great examples of these types of exercises. Usually the dumbbells aren’t in high consideration when it comes to back exercise, because back is a huge muscle group and typically barbells are seen as better pieces of equipment here as they can hold more weight. Well this is true and barbells art generally considered better in building volume two to this reason, using a barbell over dumbbells has one major disadvantage: that being that the range of motion and the angles in which you can hit the muscle groups is a lot better when you use dumbbells. Being able to get the muscle from different angles and increase the range of motion, is not only going to increase your flexibility, as also going to help you gain more muscle mass in the process. This is because in doing so you’re going to be ripping and tearing certain muscle fibers when you lift using dumbbells that you wouldn’t be doing through use of the barbell. This last one may seem obvious however we’re all guilty of falling into this trap one point or another during our fitness career. We want to see any significant improvement in both our physique and our strength, that we need to be working on exercises that we are weak in. In regards to the back, the exercise that most people tend to be weak in and avoid is the dead lift. This is the case for you, you shouldn’t be avoiding it the next time you’re working on your back, it should be a priority. Another exercise that people tend to be weak in and avoid are pull up, which is arguably the best back exercise that you can possibly do. Not only that pull ups Arne exercise you can do very frequently, so there’s no reason why you should be lacking in this area. If you’re lacking here make sure to add pull ups to the beginning of your routine that next time it’s back day.